For months, Portland landlords have complained that they have been listened to but ultimately ignored as Commissioner Chloe Eudaly crafted a complex policy to regulate many core aspects of their business. The resulting ordinance, introduced this week, establishes new rules for how landlords screen tenants, advertise their units, collect security deposits and calculate damages and other charges to tenants. 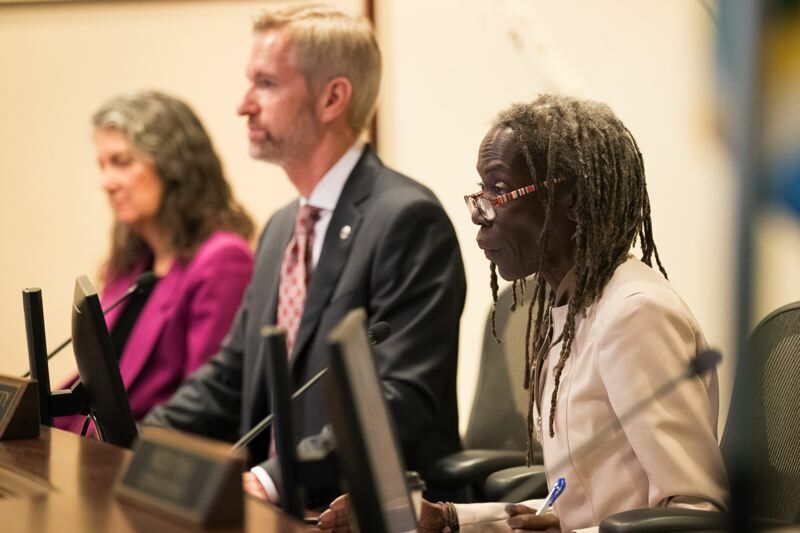 At a first hearing Wednesday, set up as a chance for Eudaly to make the case for the ordinance, two exchanges between commissioners and experts invited to weigh in on the bill gave credence to those concerns that criticism of the policy is unwelcome. After the second tense exchange, Mayor Ted Wheeler took the unusual step of exhorting his colleagues to treat their critics with respect. The hearing comprised of five panels of invited experts. Surprisingly, Eudaly's first invited expert, Tyrone Poole, declined to take a position on the ordinance. He used much of his time to urge the council to consider the possible impact on small businesses.